If it has escaped your notice, tomorrow is Red Nose Day! 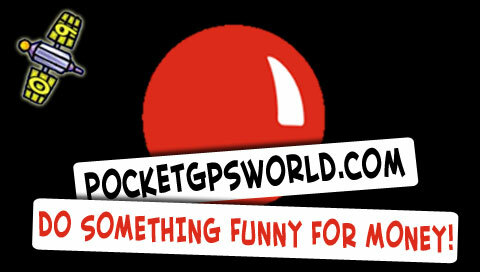 This year PocketGPSWorld is doing its little bit by creating a Red Nose Day Splash Screen (TomTom/Garmin) and Custom Cursor (TomTom Only) pack for your SatNav Devices (sorry to all the other GPS owners). Show your support for Red Nose Day and decorate your Satnav with the RND SatNav theme splash screen. Available in both Standard and Wide-Screen formats suitable for compatible TomTom and Garmin SatNav's, the splash screens are free to download. All we ask is that you make a donation on the Red Nose Day web-site here. Download the RedNose day pack (two splash screens and a custom cursor) here. This year PocketGPSWorld is doing its little bit by creating a Red Nose Day Splash Screen and Custom Cursor for your Tomtom Devices (sorry to all the other GPS owners). then switch on your GARMIN click on TOOLS then PICTURE VIEWER then when your get to the Picture in the top left click DISPLAY AT POWER ON? Thanks, I've edited the intro. The only issue we were concerned was that if you do this on a Garmin the original splash screen is then wiped and can't be retrieved? Is that true? so it you have the original splash screen saved in picture file then you can put it back on. Ah thanks, not having a Garmin to hand I wasn't sure if the original was actually an image that could be backed up. Can you still use the Garmin X Image with these newer Garmin's. I only have a couple of i3's which it works fine with. Thanks for this. I have now made a donation to Comic Relief. Hi this is a nice idea, right now to the silly question time , only had my Garmin a few days so still finding me way around so please be nice when you say put them in your picture folder (on the Garmin) would that be the JPEG folder? What device do you have? Did you put both splash screens in there? Are you sure there isn't a second page of pictures? Check the bottom right of the screen for an up and down arrow to scroll pages. Ah this may be my fault! I re-packaged the images as .bmp files (which TomTom prefers) but Garmin may only accept .jpg's. I've added the images in .jpg format to the .zip package now. Re-download the file and try again and the .jpg versions should display on your Garmin. Let me know if it now works?